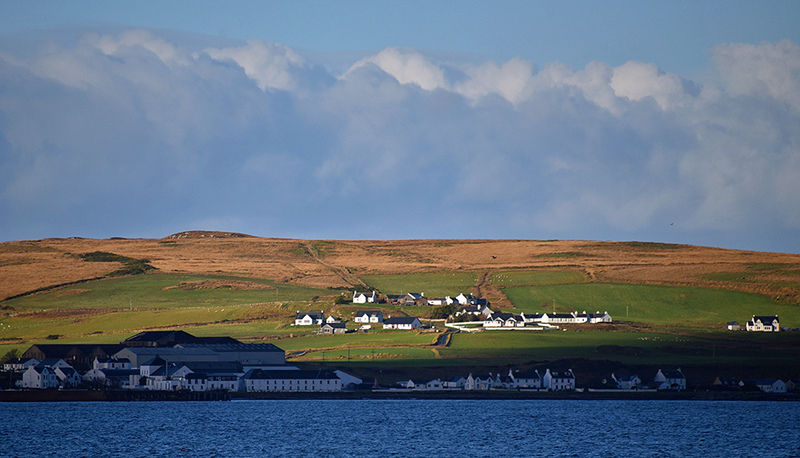 A view from Gartbreck in November 2014 after a heavy shower passed through. The Sun is breaking through over Conisby on the Rhinns of Islay while Bruichladdich with the distillery is still in the shade of the heavy rain clouds. This entry was posted in Cloudy Weather, Distilleries, Landscape, New Post, Sea Loch, Sunny Weather, Village and tagged Bruichladdich, Conisby, Gartbreck, Islay, Loch Indaal by Armin Grewe. Bookmark the permalink.